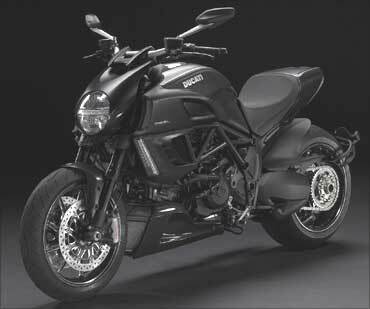 Italian racing motorcycle manufacturer Ducati said that it would be launching its latest Diavel model in India by April 2011. It would also be launching two more models of its super bike series 848 Evo and 1198SP in India by January next year, Ducati CEO (Asia Pacific), Mirko Bordiga said after inaugurating the company's third dealership outlet in the country in Ahmedabad on Wednesday. 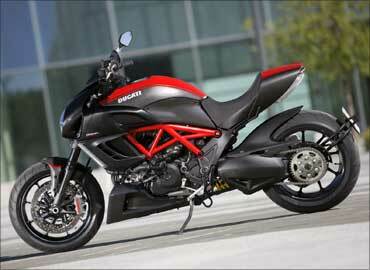 "The Diavel model would be available in the European and American markets by January or February 2011. The same model would be launched in India by April next year, depending upon the time it takes to clear the necessary customs and other formalities," Bordiga said. 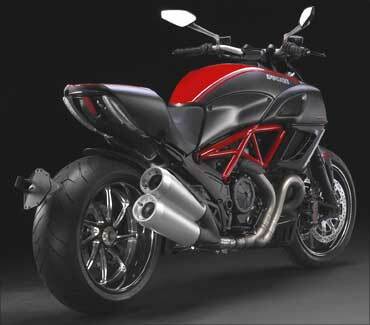 He said that the 1200 CC Diavel would be available in two variants, the base and Carbon S versions in India. Bordiga said that Ducati plans to open dealership outlets along with service stations in 10 major cities across the country in the next one year. Ducati India CEO Ashish Chordia said that they were targeting to sell over 300 units of the racing bikes in the next one year time. 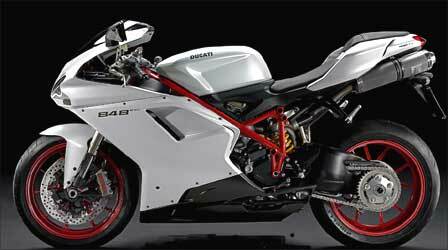 "Since the launch of the Ducati in 2009, we have sold over 100 units through our two dealers in Gurgaon and Mumbai. We expect to sell over 300 units in next one year. Of this we are expecting sale of 40-60 unit from Gujarat itself," Chordia told media persons in Ahmedabad. Chordia said that besides motorcycles, they would also be selling the entire range of apparels and biking accessories at the dealer outlets. When asked why the company chose Gujarat for its third dealership, Chordia said they saw huge potential motorcycle market in the state. "Gujarat, though being price conscious, is a very value sensitive market, where people are ready to pay for quality products," he said. 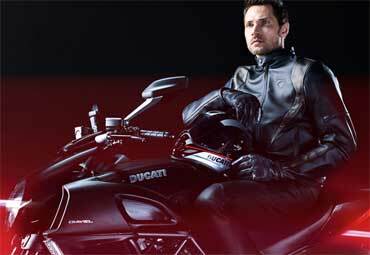 He further said that the company was also planning to begin the Indian chapter for Ducati Riding Experience (DRE), just like they have done for other Asian markets. 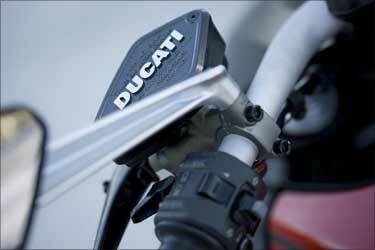 Ducati's dealership in Ahmedabad is owned by the Cama Motors Pvt Ltd. The company founded in 1926, began manufacturing of motorcycles after the World War II. 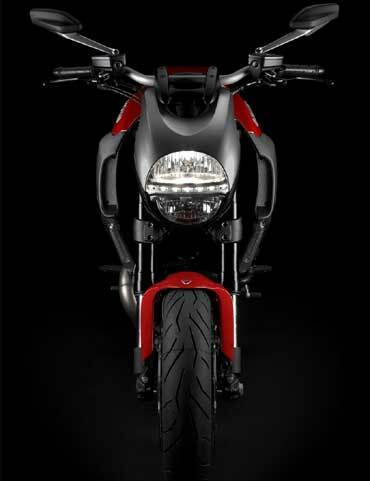 It produces motorcycles in six segments that include Superbike, Desmosedic RR, Monster, Multistrada, Sport Classic and Hypermotard. 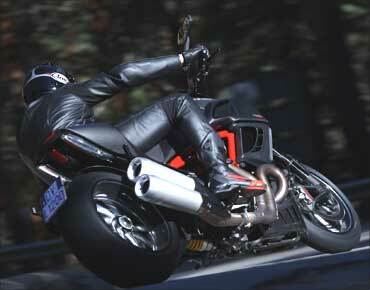 The Diavel incorporates the very latest in innovative Ducati technologies. Ride-by-Wire, Ducati Traction Control and Ducati Riding Modes deliver a confidence-inspiring sophistication that enables riders to fully enjoy the power of the Testastretta 11 degree engine. 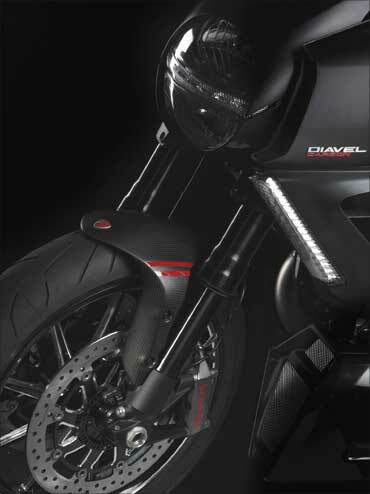 The Diavel's ignition is actuated by an electronic key in the rider's pocket, which communicates with the motorcycle when within a distance of approximately 2 metres (6.5ft). 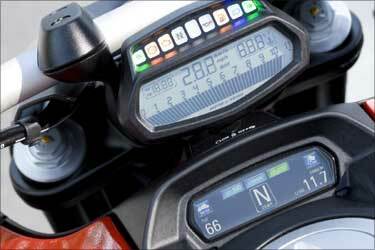 The motorcycle recognises the dedicated key code and automatically enables the bike's systems. 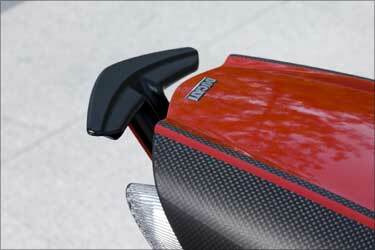 The electronic key externally doubles as a mechanical flip-key, required to open the seat and fuel tank cap. When parking the motorcycle, an electronic lock can be actuated on the steering simply by applying full steering-lock and pressing the ignition-off button a second time. The racing-derived Ducati Traction Control (DTC) is a highly intelligent system which acts as a filter between the rider's right hand and the rear tyre. Within milliseconds, DTC is able to detect and control rear wheel-spin, considerably increasing the bike's active safety and performance. 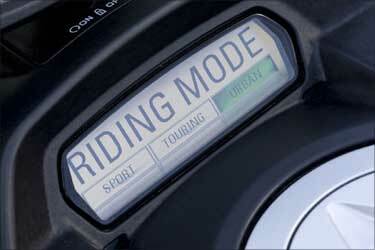 The system offers eight levels of "sensitivity", each programmed with an amount of rear wheel-spin tolerance: level one is programmed to offer the least amount of interaction for sport-oriented riders, while level eight uses the most amount of interaction for complete confidence. 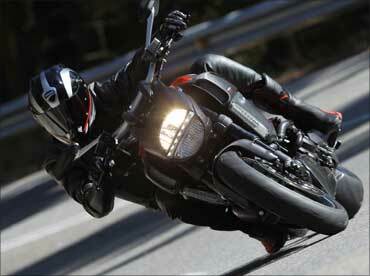 The Diavel's instrumentation is a masterpiece of cutting-edge technology. The lower, full colour Thin Film Transistor (TFT) display is styled into the fuel tank and provides an incredibly clear account of current Riding Mode, gear selection and DTC setting as well as total mileage and trips. 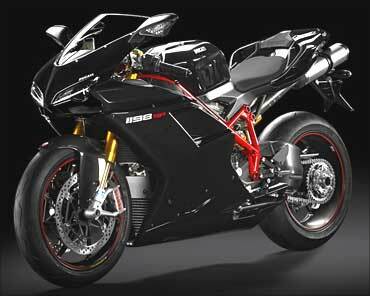 In perfect Ducati style, this extremely innovative design is characterised by muscular, yet clean, essential lines. 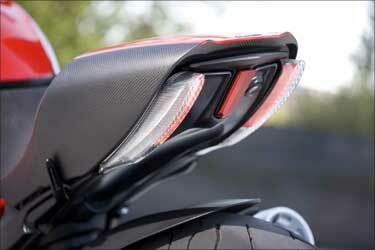 Use of premium materials such as titanium and carbon fibre make the exhaust silencer and rear mudguard even classier, giving the Ducati added flair. With its awesome 140 hp Testastretta engine and even beefier braking power, supplied by monobloc Brembo calipers, the 848EVO boosts the performance of Ducati's lightest-ever Superbike even further. From experience gained on circuits all over the world comes the most exclusive, highest-ever performance 1198 SP ever: aluminium tank, Ducati Quick Shift, slipper clutch, rear ohlins suspension with TTXR technology, 168 kg dry weight. The 1198 SP is all set for the next track challenge.